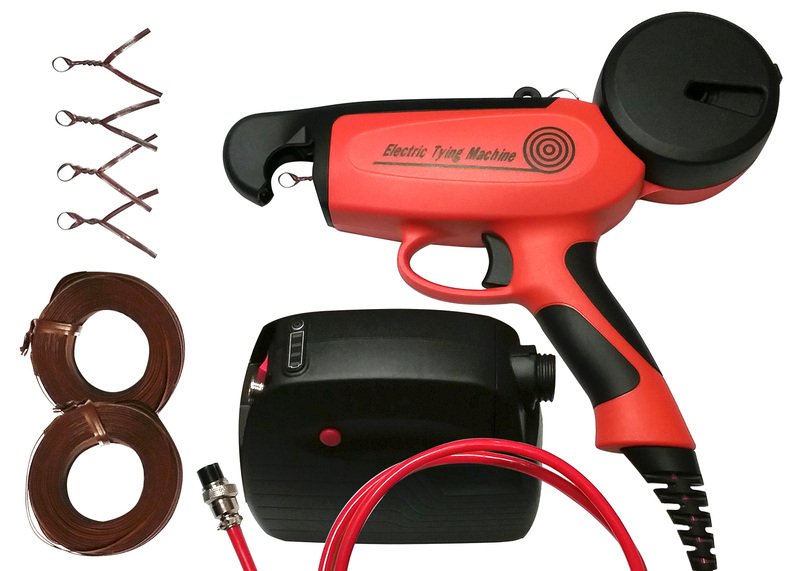 Zenport Electric Tying Tool ET1 Battery Powered Electric Tapener Hand-Held Plant Twist Tie Machine. Whether your task is in a nursery securing high value standards, or in a vineyard ensuring security for valuable vines and trees, Zenport battery powered and manual tapener guns and accessories give plants that desirable uniform appearance. One tapener does the work of several people tying by hand! 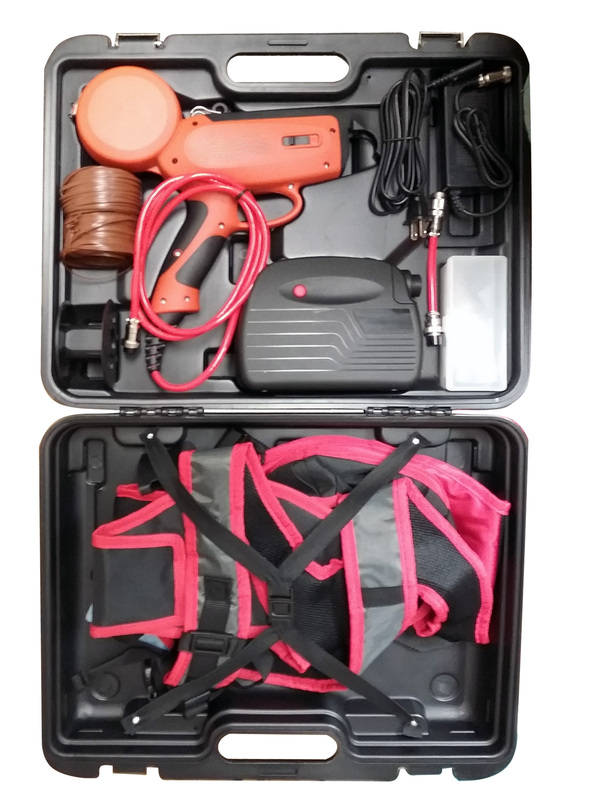 Fully portable and extremely lightweight, the Zenport ET1 ZEN Electric Tapener Hand-Held Twist Tie Machine is designed specifically for use in the agricultural industry. This easy to use machine offers a full 8 hours of continuous tying per battery charge while avoiding carpel tunnel syndrome and repetitive motion injuries from hand twist tying. Tool comes with 3 x 295-foot rolls of brown twist tie. Each roll can complete 643 x 5.5-inch twist ties. 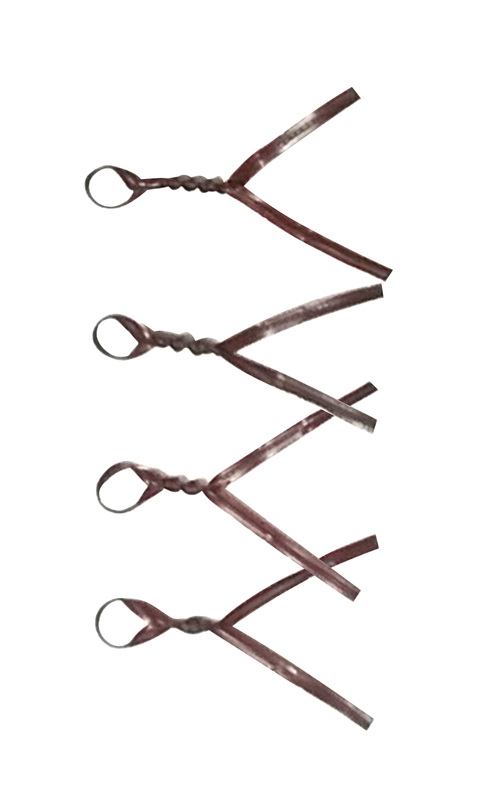 Unlike stationary twist tie machines, the Zenport ET1 ZEN Electric Tapener can be used anywhere including in the fields to stake agricultural products and vines such as tomatoes and grapes. Able to tie up to 3/4 inch in diameter, this versatile unit has a fully accessible extended front tying aperture. It also offers a looser tie so that there is no damage to the stem or vine of the plant and as the plant grows the tie will not strangle or inhibit growth and will fall off. Includes an easy squeeze trigger and an LED Indicator to show battery life and the number of twists which is adjustable. The protective enclosure for the ribbon spool keeps the twist tie material controlled and clean during the tying process. The ribbon spool changes are quick and easy with no operator training or tools necessary.